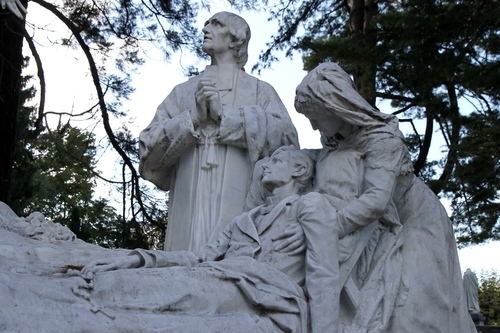 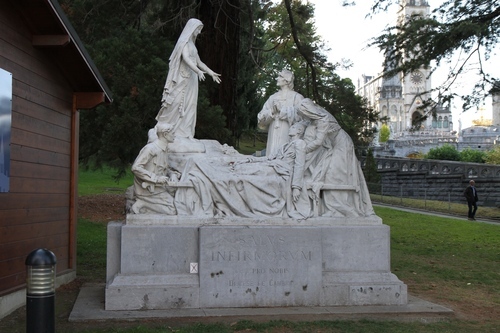 This marble monument of the Virgin Salus infirmorum (Health of the Sick) can be seen along one of the paths leading to the esplanade of the Sanctuaires de Lourdes (entrance from Place Mgr Laurence). 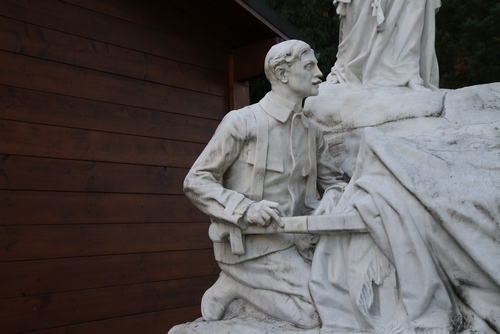 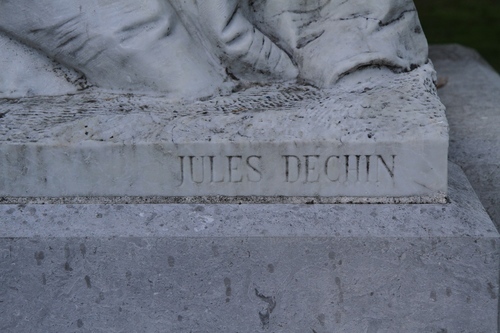 The monument was made by French sculptor Jules Déchin (1869-1947) and donated by the Diocesis of Cambrai in 1912. 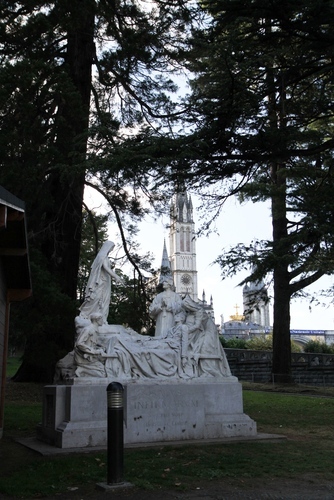 It represents the Holy Virgin Mary appearing to a sick cared for by a bearer (wearing the typical leather straps to hold the stretcher), a lady and a priest.